I have 2 cards to share from this kit......I made more but will have to share those another day! 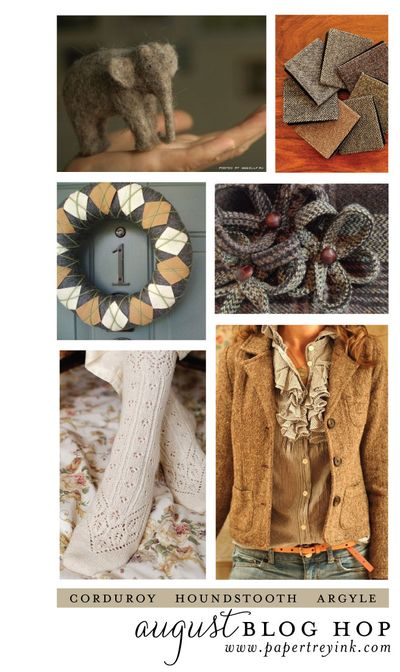 I fell in LOVE with that ruffled satin trim in the photo above. 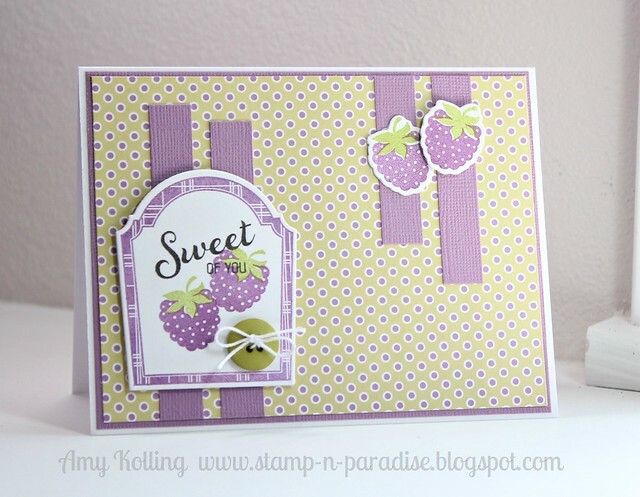 Kim included her kit ingredients and it is from Stampin' Up. Oh goodness is it gorgeous! 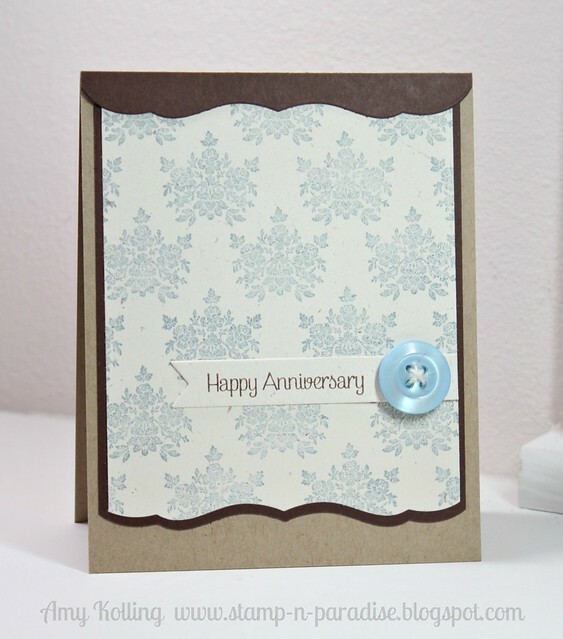 This first card uses a piece of pattern paper with a die cut word embellished with Stickles. Adding in the trim serves as the focal point which was then flagged with a button. 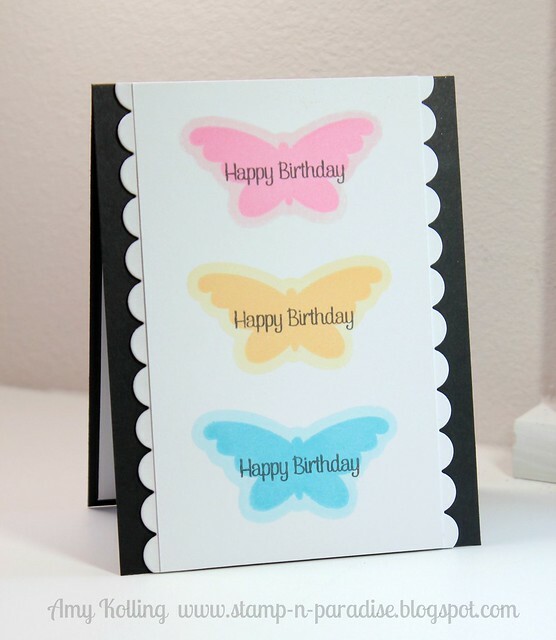 My next card uses more pattern paper and cute digital images from Pink Petticoat! I hoarded my other images as to see what the other girls do with their kits! hehe I machine stitched a couple of wavy lines at the top and left the threads messy at the edges. Using more of that fabulous pleated ribbon, I layerd my sentiment and image over a strip of this ribbon. Thank you so much Kim for a beautiful kit this month! I can't wait to see what the rest of the group comes up with so I can CASE them. I didn't get a CASE card done this month....oops! 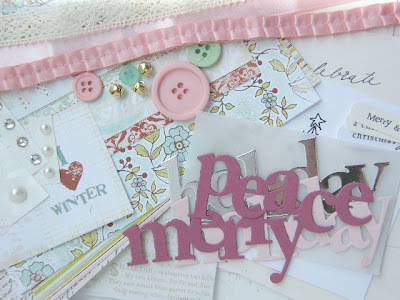 Well, that's it from me today......go check out what the other girls have done with this kit! 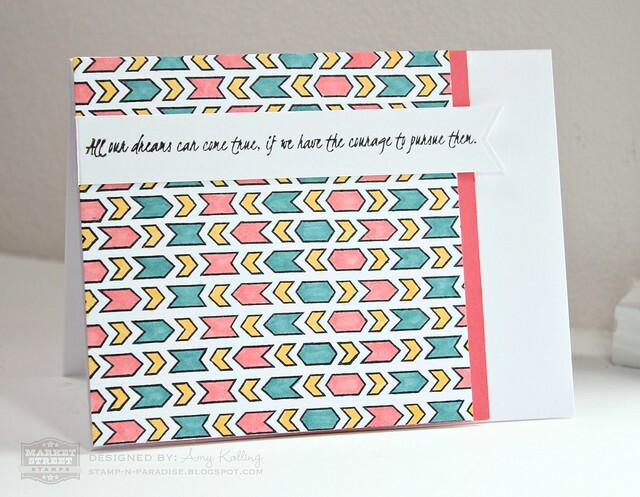 Just popping in here to share my Papertrey Ink Blog Hop card! I know I know.....I'm late but hey I made it! 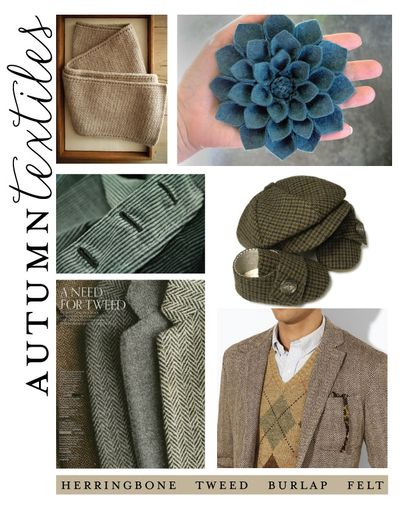 This month's challenge was Autumn Textiles. I chose to work with burlap. It gives so much fun texture! So I've been following Verve's Anniversary festivities this week and finally sat down to make at least ONE card for their Customer Card Carnival! 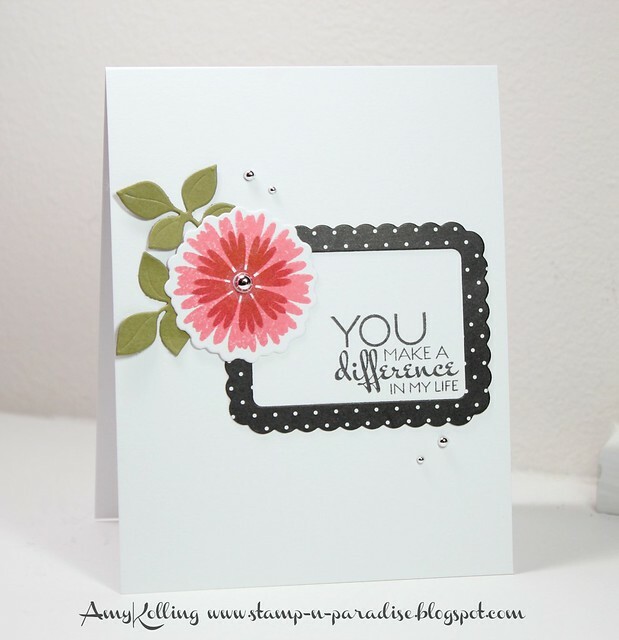 This one is pretty simple using Bloom and Grow, Floral Circle Dies and Rounded Scallop Frame Die. I've also created this for the Asymmetry Challenge in the Moxie Fab World. I wanted to share that there is still time to go link up a Market Street Stamps creation for the MSS Block Party until 11pm CDT tonight! There was overlapping of our two challenges so we extended it through tonight! What we need you to do this month is share your creation using our Paint the Town colors! You can link up your project HERE. 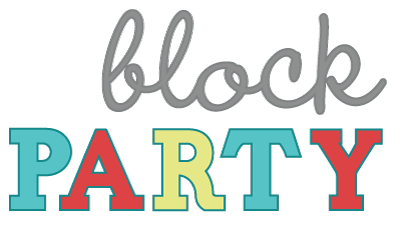 So you have several hours left to go get crafty and link it up! 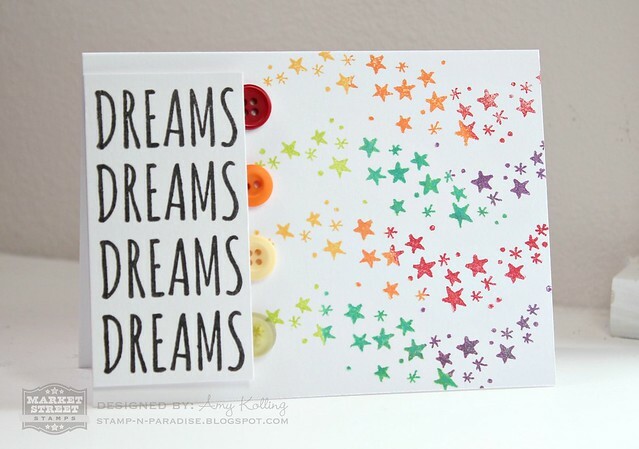 Today I get to show off Brenda's new stamp set, Dreamcatcher. I can tell you that this is such a fun and versatile set. I have nothing like it in my stash! For my first card, I've used the border stamp included in the set and stamped it repeatedly using Tuxedo Black Memento ink. I've chosen some colors of Copics and colored away! Adding in the long sentiment stamp on a diecut banner finishes it off. My second card uses the wave of stars.......my favorite image from this set! I did a bit of rockin' and rollin' for the stars to get the rainbow look. 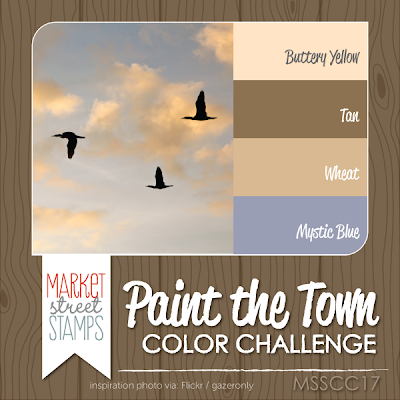 Don't forget to go visit the Market Street Stamps blog for your chance at winning a set of stamps from this fabulous release! All the new stamps will be available for purchase starting Thursday, August 16, at 7am CDT. Thanks so much for stopping by today! 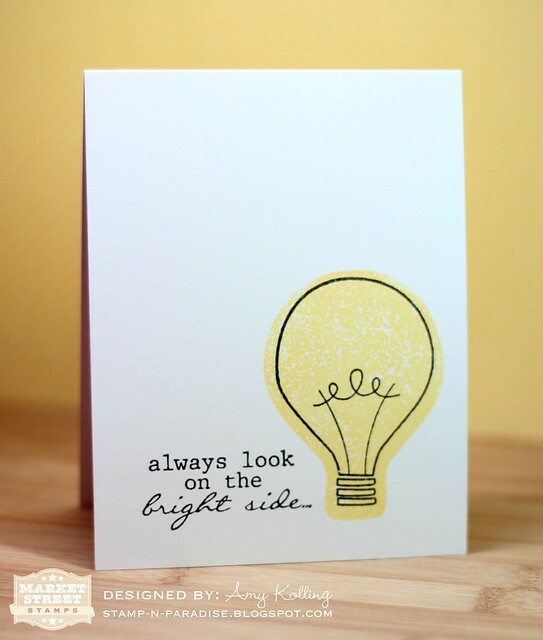 Hello and welcome to Day 3 of the Lil' Inker Designs Color Team debut! I am so happy to be playing along with the new Color Team today! Make sure you are following the blog hop because there are prizes up for grabs! You should have arrived from Alyssa Schritchfield's blog. If would like to start at the beginning, then hop on over to the Lil' Inker Blog! I am very happy to be sharing one of the first sets from the new line Sugar Kissed Cottage! It's called School Girl and oh is it soo cute! 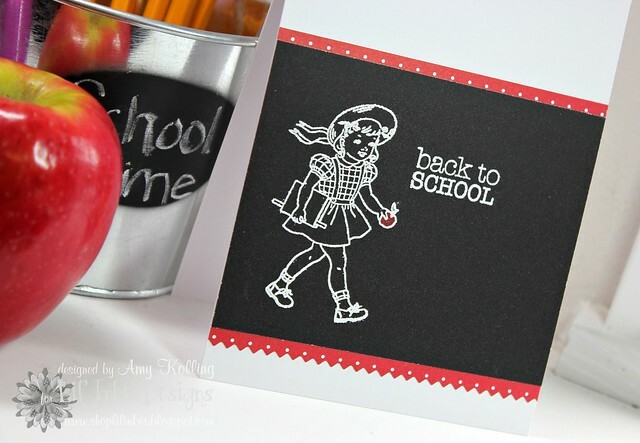 I love the vintage look and all the great school themed sentiments! There is a new designer in line for this collection, Karen Baker! 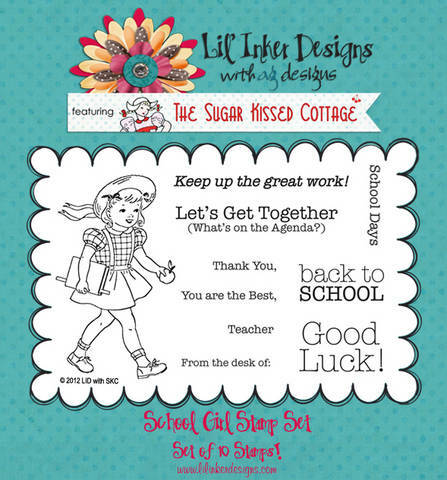 Make sure to check out the Lil' Inker Designs blog for all the details! I've heat embossed the image with White Filigree embossing powder and accented the apple and leaf with Stargazers Watercolor Palette color. Just plain 'ole CAS. Perfect for this image! Here is the full set of graphics and this set and ALL of this release is available NOW in the Lil' Inker Store! 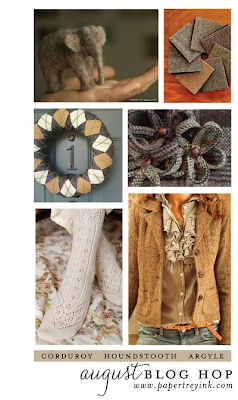 Be sure to stop by the designers blogs and leave comments because there are PRIZES to be won! We'll be picking 2 winners from a secret prize blog along our hop this week and each can choose 2 stamp sets from our new releases, a $20 prize value! Your next stop during the hop is Mary Johnson! Hey all! 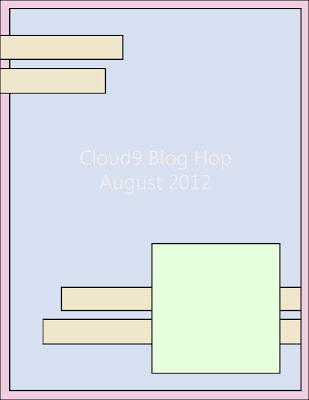 I wanted to share my card for the Cloud 9 August Blog Hop! Such a great way to show off those Wplus9 stamps! This set is one of my favorites from Wplus9!! Here's the sketch provided by Suzanne from the Cloud 9 blog! I did turn the sketch on its side for my card here! Just look at these peaceful colors.....tan, wheat, buttery yellow, and mystic blue. Here's my take on these beautiful colors. Now, go create a project using Market Street Stamps for your chance at winning. One randomly selected participant will win a stamp set of choice ($15 or less)! Enjoy your day! Hi everyone! I have a quick little tutorial for you today! 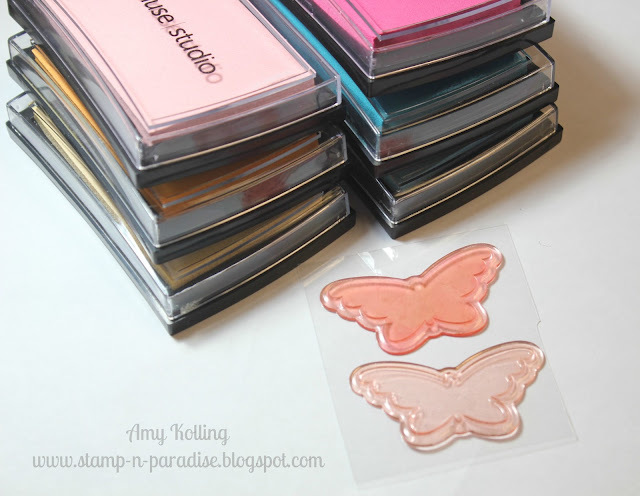 When you look at your clear stamps, do you really look at them? What I mean is....do you think about turning them over and stamping with the "WRONG" side? Well, I wanted to share just how you can do this! I used this technique on THIS Market Street Stamps card that was chosen for the Top 20 of the Paper Crafts Gallery Idol contest this summer! Let's see, I do believe some neon is in.....now I don't have neon inks but I think this represents neon in what I remember wearing back "when" those neon shoestrings and tops were "in"! LOL So here, I've chosen inks that have a lighter shade and a coordinating darker shade. Your first step is to place a small piece of double sided tape on one side of your clear block and place your stamp on the block so the back side is out. Yes go ahead.....do it. Ink up your lighter shade of color and stamp your image. 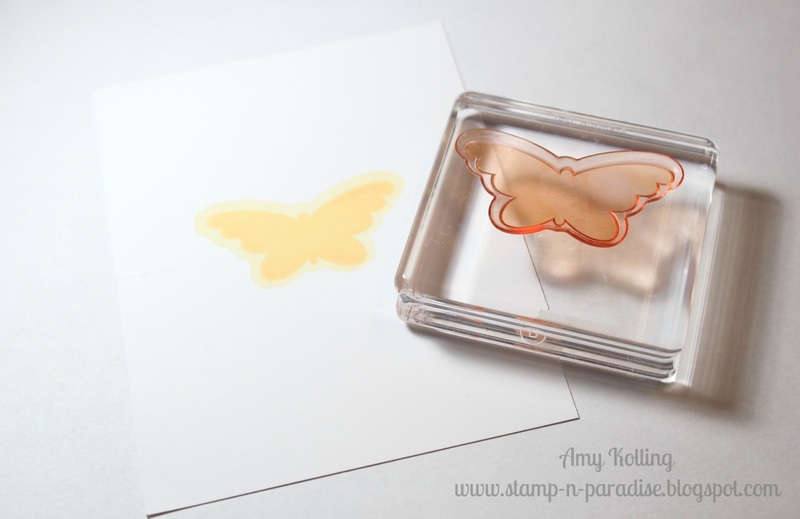 Clean your stamp and remove to now place on the other side of your block. 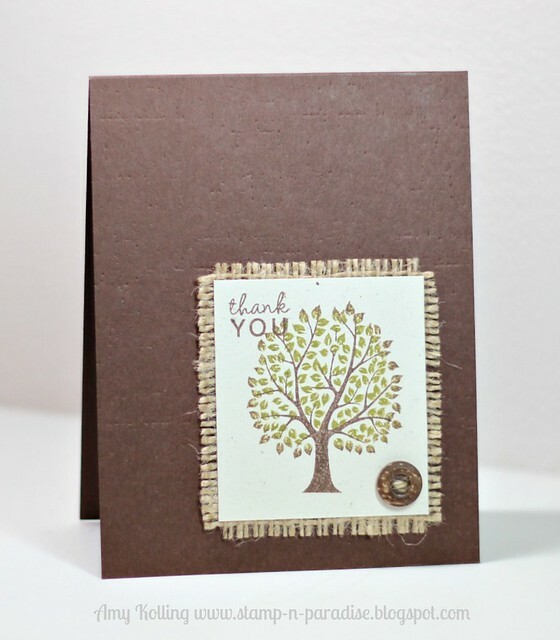 Now place your stamp the "normal" way on the block and ink up with the darker coordinating shade of color. 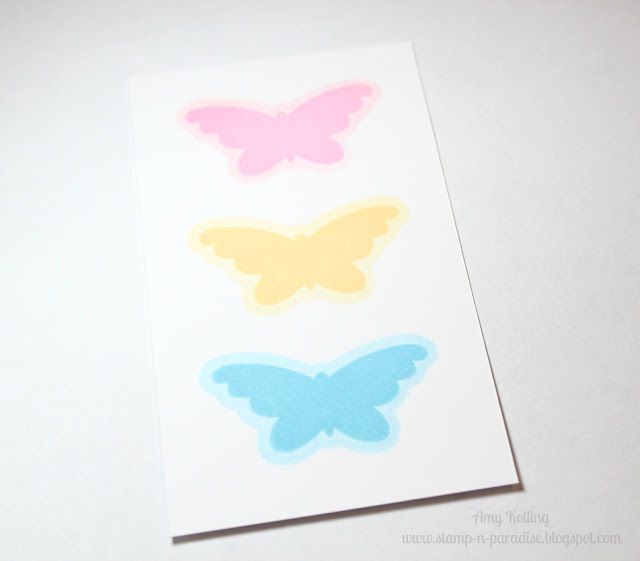 Now, centering the actual stamp is soo easy because you have the outline there as a guide! When done, it gives the most perfect outline to your image! Here are all 3 butterflies stamped first with the back of the stamp and then again with the normal side of the stamp. 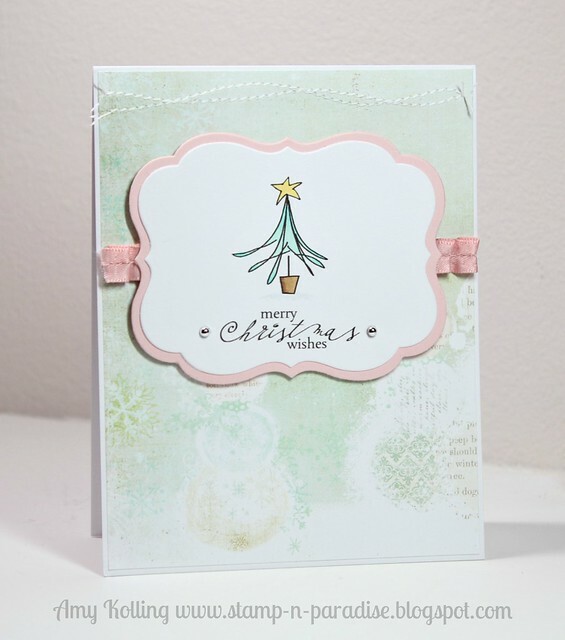 Now for the finished card.........I love the results and it makes for very mailable card since there is no layering! So I challenge you to go look through your stamps and see what stamp(s) you have that may work for this technique because it is FUN! Thank you all for stopping by today.....have a great one! Hi everyone! I've been enjoying the last days of summer with my kids on my days off and so there hasn't been much activity here.....I'm sorry for that! I wanted to stop by and share my winner from the Shaping Up Blog Hop from my post! Super cute card! I was rooting for you and voting every round in Gallery Idol. 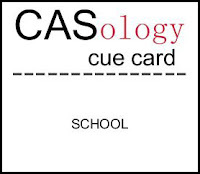 Your cards were, of course, fabulous! 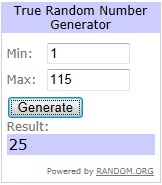 Thanks for the opportunity to win a fun package of goodies! Congrats Mary! Please send me your address so I can get those stamps and goodies out to you!